Chatbots – programs that simulate conversations with people in order to exchange information – have been around for a while now, albeit in various forms. You may recall more primitive chatbots, such as the dreaded voice-recognition robots on customer support lines that were frustrating enough to make even a Zen master lose their cool and hurl their phone against the wall. (Even now, the phrase ‘I’m sorry, I didn’t get that’ can elicit a PTSD-like flashback.) With the rise of messaging apps bots have since largely moved from voice to text, resulting in a more conversational, less hair-pulling user experience (though there is still of course voice-recognition chatbots like Apple’s Siri, Amazon’s Echo, and Android’s Alexa). In the beginning, these chatbots were pretty much just an automatic-response generator, making them a great way of getting basic information, like the weather report – but not much else. Over time, however, they have become more and more sophisticated, to the point where many people are unaware they are not actually interacting with a human. Despite their capabilities, it didn’t seem like people were too excited about them – that is, until Facebook announced in April 2016 that they were introducing Facebook Messenger bots, allowing brands to have their own chatbots within the platform. Since then, they’ve exploded in popularity. According to Facebook, the Messenger platform connects you with 1.2 billion people per month. 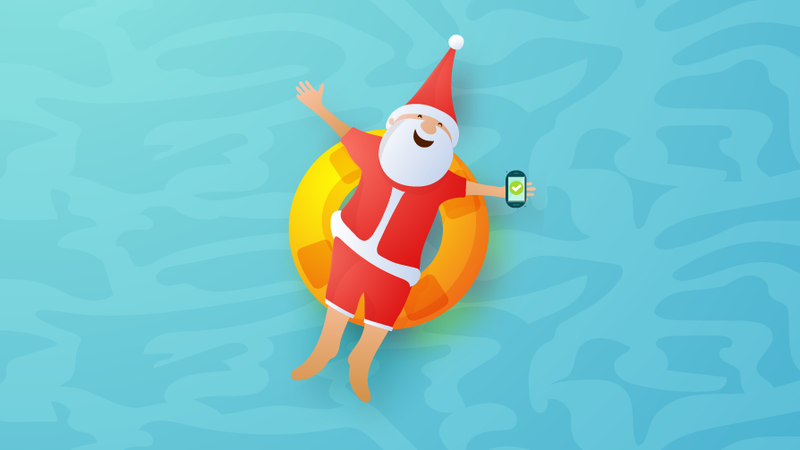 And engagement with messages are much higher than with emails – they boast a near-perfect 98% open rate. The open rate of emails? A mere 22%. All this points to a huge, captive audience of consumers, just ripe for the picking. So it’s not surprising many B2C brands have jumped on the bandwagon, releasing bots that allow customers to do everything from getting clothing recommendations (H&M), to ordering a pizza (Domino’s), to tracking a flight (Instalocate). The beauty of bots is in their versatility. They’re being used by refugees to file for asylum (Do Not Pay), by insomniacs in need of a distraction at 4am (Insomnobot), and by people in need of a good dad joke (Dad Joke Bot). The possibilities are just about endless – but here is a non-exhaustive list of just some of the ways Facebook Messenger bots can be used by brands. While your employees have to occasionally sleep, a bot can be working all hours, giving people instantaneous responses when they have an issue. And while bots may not be equipped to answer complex questions just yet, odds are they can field a large percentage of your customers’ gripes. If they fail to address the problem, they can then direct the customer to the most appropriate contact at your organisation. This means better customer satisfaction, and improved brand equity. Your bot could then request details about the potential customer or their company. Et voila – a lead is generated. The bot could even follow up in a few days, and ask whether the potential customer might like a free demo or to speak to a salesperson. This frees up the time your sales team would otherwise be spending on lead qualification – particularly beneficial if you’re a small start-up with just a few employees. Every interaction with customers is an opportunity to learn more about them. Unlike humans, bots can diligently compile every little bit of data about what customers ask for, how they respond, and what makes them more or less engaged. This can provide valuable insight into how to better direct customers through the sales funnel, and even how to improve your product to address your customers’ needs more thoroughly. 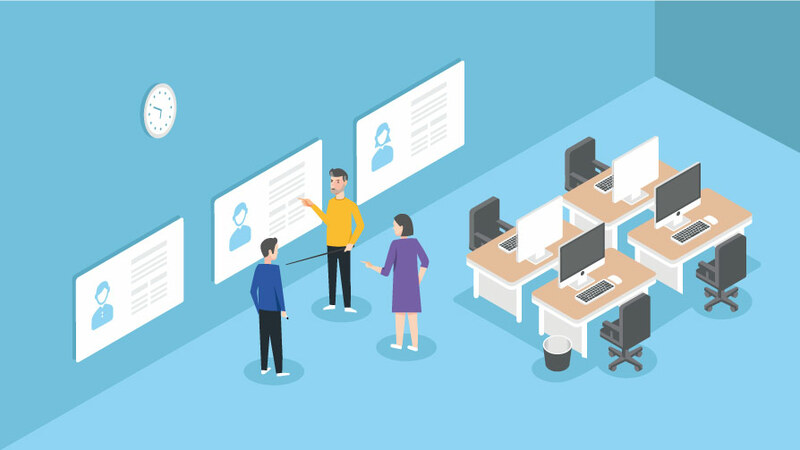 Bots can do things like edit account or billing information, schedule meetings, or communicate updates, so your staff can spend less time on tedious admin. Facebook Messenger can even process payments, so you can click on an ad on your Facebook feed, get more info about a product and make a purchase, all without ever leaving the Facebook platform. 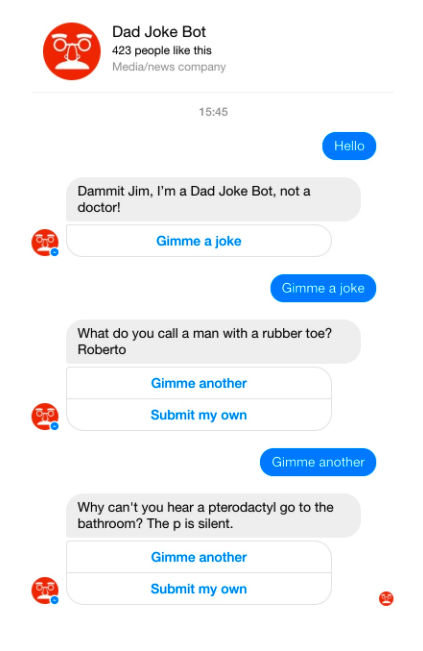 Because bots can be injected with more personality, brands are leveraging this to create fun ways for customers to engage with their brand. 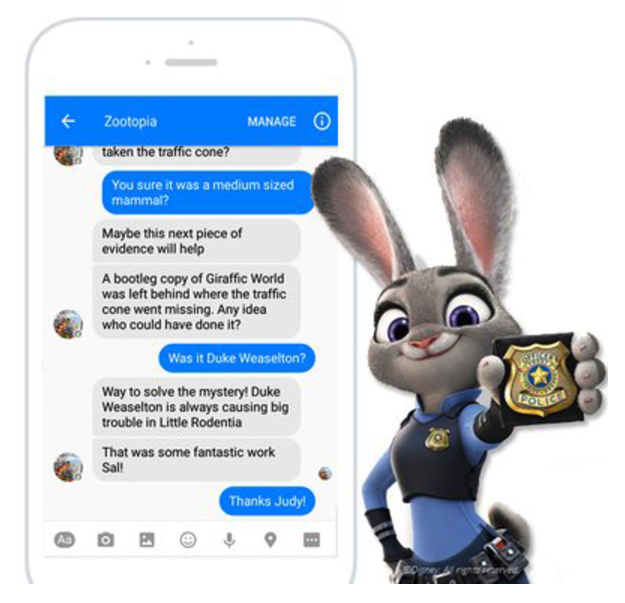 Before the release of the movie Zootopia, Imperson created a Facebook Messenger bot who communicated as Zootopia’s lead character, Officer Judy Hopps. Fans were able to chat with Judy directly and help her solve crimes. She was so engaging, users spent an average of 10 minutes interacting with her, and the movie went on to gross $1 billion in the first three months of its release. Bots can be a more friendly and organic way of promoting content to customers. You can even use input from users to segment them into groups, and suggest content more applicable to their demographic. Because open rates are so much higher with messages than with emails, click-through rates are also much better. Plus once you’ve opened up a channel of communication, you can then encourage people to take further steps in the buyer journey, such as talking to a sales rep or requesting a free demo. Should I be investing in one? Not many B2B businesses have adopted the Facebook Messenger bot as of yet, preferring the old-fashioned phone call or email. However, as messenger apps grow in popularity, and emails decline, it would be foolish to ignore this space altogether. There’s also evidence to suggest B2B customers are quickly adapting to messaging apps: according to HubSpot’s State of Inbound 2017 report, 31% of respondents prefer to communicate with messenger apps for business purposes, and 74% said they used Facebook for professional uses. While it can be daunting to be an early adopter, this comes with lots of benefits, as there is less noise to compete with. This certainly worked for HowAboutEat, a bot-run food ordering service, which started in 2014, well before the likes of UberEats or Deliveroo. Customers were so enamoured with how easy and convenient the service was, that HowAboutEat boasted an 88% retention rate. Setting up a Facebook Messenger bot is also pretty easy with tools like Chatfuel or Botsify, and relatively inexpensive (especially when you compare it to the cost of developing a mobile app). 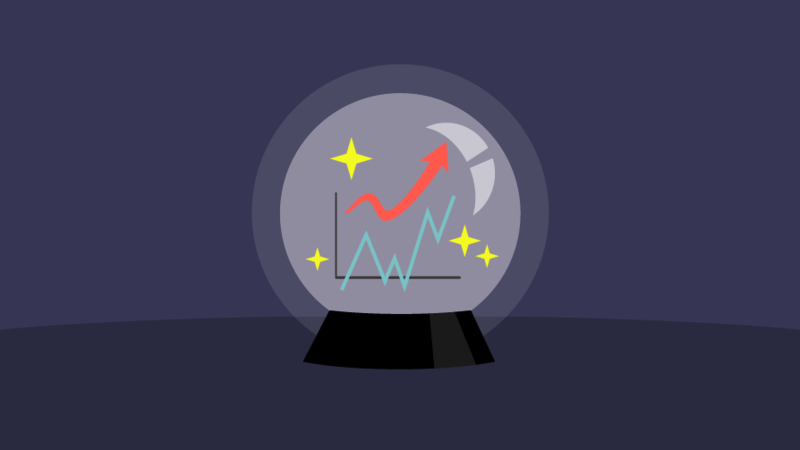 However, B2B businesses have to be careful about unleashing experiments upon their unsuspecting customers, as the cost of losing a customer is much higher than it is for a B2C company. 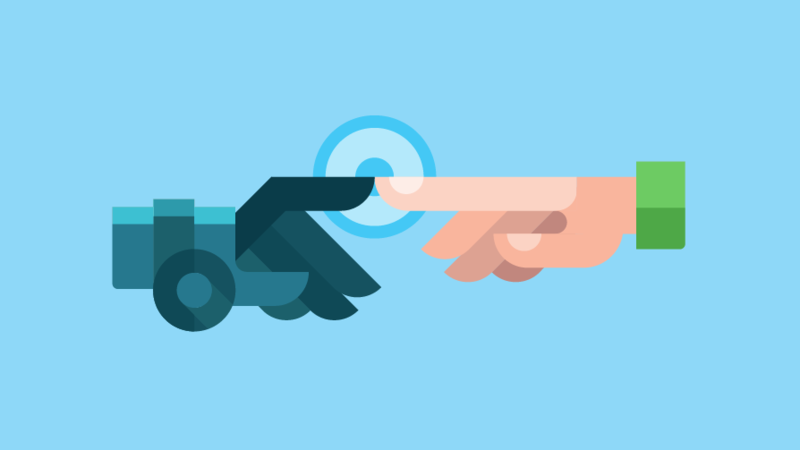 In the end, it shouldn’t be about trying to get into the bot space as quickly as possible, but about what value your customers need, and how bots may be able to supply that value. Mine your data: see what they’re typing into your website’s search box and ask your support staff what queries they most commonly receive. Are they queries that could be addressed more immediately and thoroughly with a bot? User experience (UX) should also be paramount. There’s nothing worse than trying to reframe your question 20 different ways because the bot just doesn’t understand what you are asking it. On the other hand, your bot also shouldn’t try to masquerade as a member of your support team. It can be very frustrating to find out you are talking to a machine when you thought you were talking to a human. And it goes without saying that any bot you create should be tested a multitude of times before you release it to flush out any potential problems. Or, to sum: proceed! But with caution. Still unsure about what a Facebook Messenger bot can do for your business? 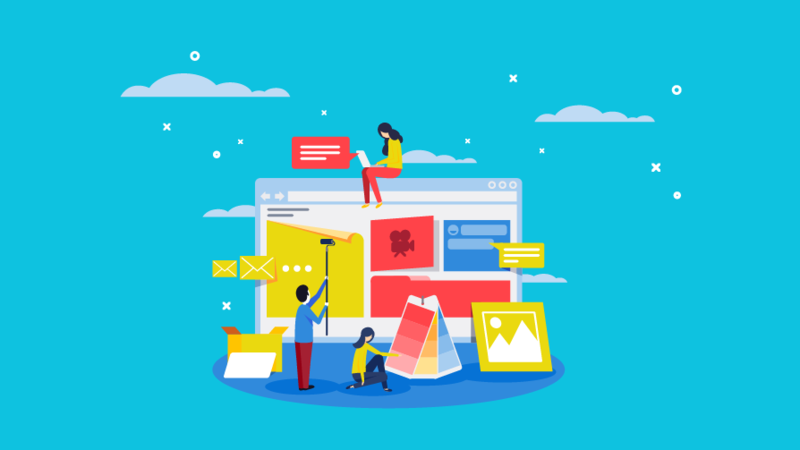 A marketing agency can lay out the pros and cons, and help you create the best UX possible. 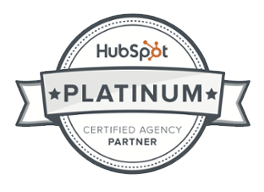 Check out our 7-step checklist to choosing your inbound agency today.